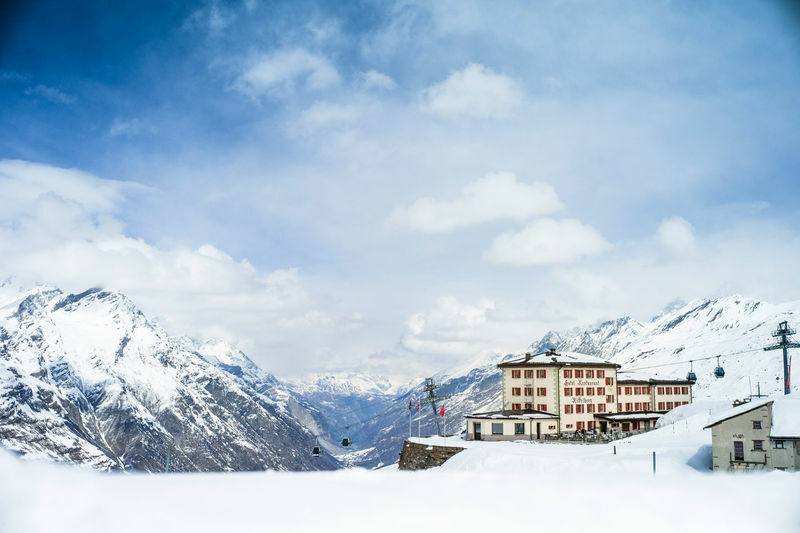 The hotel on the Riffelberg was the first to be built at such an altitude, as well as only the second of Zermatt’s hotels to open. This achievement bears witness to the pioneering spirit of Zermatt’s entrepreneurs. The Riffelhaus was the first hotel built at this altitude. Under the leadership of the parish priest, Joseph Ruden, three Zermatt residents acquired a piece of land on the Riffelberg from the municipality of Zermatt, and in 1854 built a small guest house with 18 beds. However, construction at an altitude of 2,566 m proved difficult and costly. The builders had to use mules to transport wood from Riffelalp and everything else from Zermatt. Many local people happily predicted the scheme would end in ruin. But they were wrong. For the first time, a hotel built far from civilisation matched the mood of the times. As the pace of industrialisation accelerated, members of the upper classes were eager to escape and discover pristine nature. In fact, the Riffelhaus, built in the shadow of the mightiest mountains in the Alps, was to usher in the golden age of alpinism. Already in its second year (1855), it served as the base for the ascent of Switzerland’s highest summit, the Dufourspitze. To avoid jealousy, the three owners sold their guest house (1862) to the municipality of Zermatt. Not to make themselves rich, but to show that the future of the poor village lay in tourism. In 1982, the whole hotel underwent renovation; it now has 60 beds. Source: see “Reading”, below.